We’re excited to announce that the much-anticipated Fredrix Metallic Pearl and Metallic Gold canvases are now available exclusively in the U.S. through LexJet. These new canvases give photographers and printers all new options for creating glamorous and elegant portraits for engagements, weddings and more, as well as eye-catching retail displays. 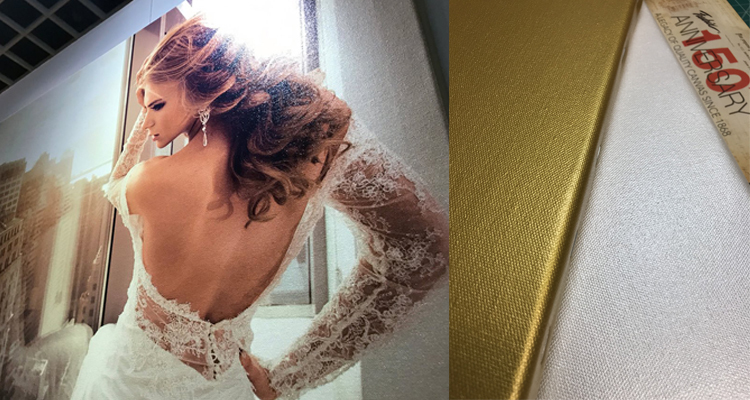 The shimmering pearlescent finish of Fredrix Metallic Pearl, pictured above, adds a beautiful, ethereal glint that brides and new moms love for their portraits. Fredrix Metallic Gold adds pop to all sorts of displays, especially for artwork and signage in high-end retail environments, and looks especially great with black ink (pictured here). 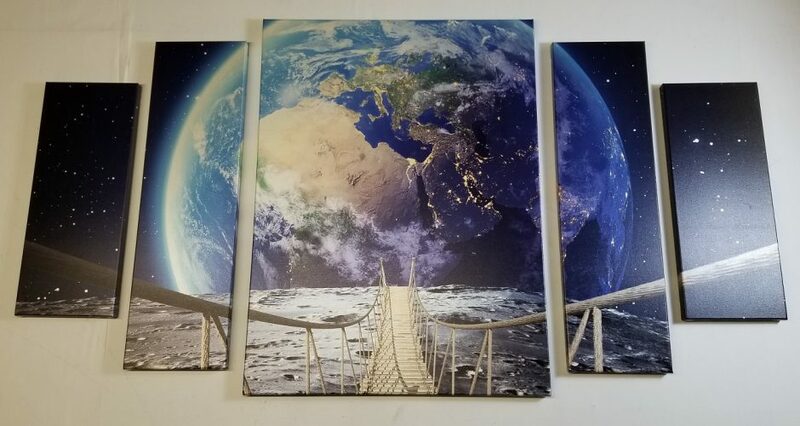 These new products offer print service providers the ability to create metallic-enhanced canvas wraps, which could only be accomplished previously by using mylar wallcoverings, which are difficult to finish and wrap. The 2-over-1 weave of these Fredrix poly-cotton canvases are easy to wrap around stretcher bars (such as GOframe) and deliver a consistent, subtle texture. These canvases are compatible with solvent, eco-solvent, latex and UV-curable ink technologies. To learn more ways to put some “wow” into your canvas prints, call a LexJet canvas specialist at 800-453-9538. Our friends at Fredrix are on-hand in booth #239 at WCAF this week at the Paris Hotel in Las Vegas. 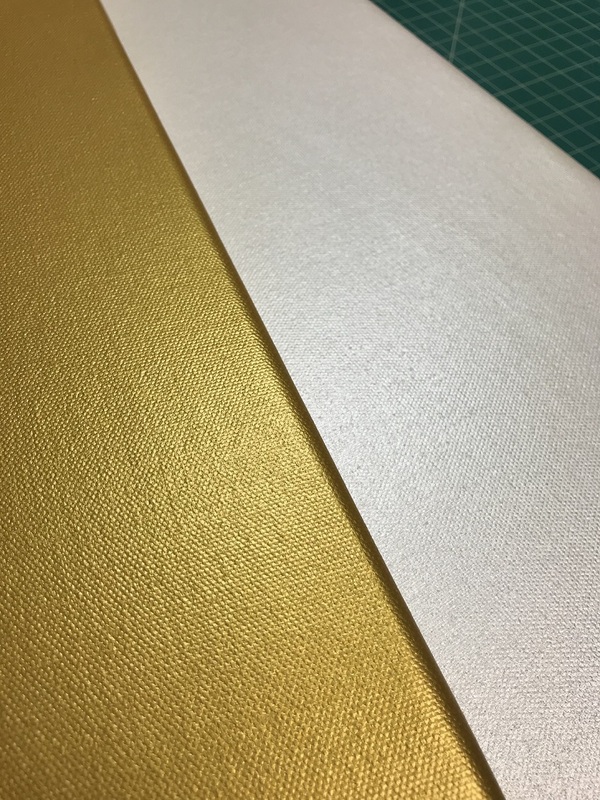 To discover one of the most exciting recent advances in canvas options, be sure to check out Pearlescent and Metallic Gold while you’re there. These first-of-their-kind canvas products were developed for latex and solvent printing, and they’ll be available exclusively in the U.S. at LexJet soon! The Pearlescent option adds glamour and elegance for wedding, engagement and baby portraits. 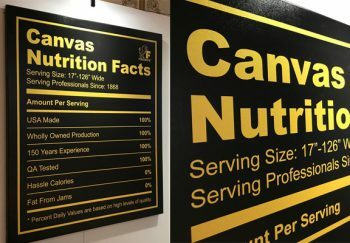 The Gold canvas create eye-catching retail signage and displays that will grab attention. In the past, solvent and latex printers attempted to create the same look using mylar wallcoverings since an effective metallic canvas wasn’t available for them. Now, these medium-textured, cotton-polyester blend canvases make it possible with reliable results and easily wrap around stretcher bars. So be sure to stop by booth #239 at WCAF to learn how these new canvases can put the “wow” in your prints. And stay tuned to LexJet to get updates on the canvas availability. © 2019 LexJet Corporation. All Rights Reserved.